The Metropolitan Manila Development Authority is expecting the traffic situation on EDSA to become lighter in the coming days now that the agency has rolled out an enhanced bus-dispatch system that not only regulates the number of public-utility buses on EDSA but also monitors the drivers manning them. Known as the Bus Management and Dispatch System (BMDS), it is the first bus-reduction program in the country that utilizes biometrics (through fingerprint-scanning) to identify and monitor PUB drivers, "ensuring the safety of commuters that patronize PUBs." 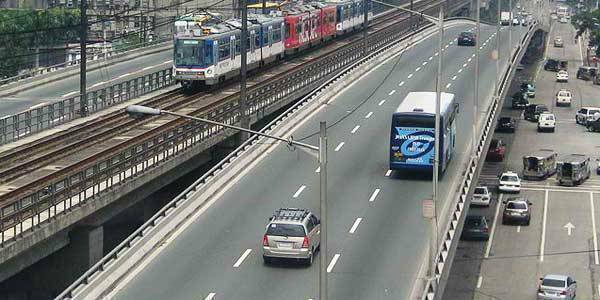 According to the MMDA, the program will first be tested at its bus-dispatch terminal in Fairview in Quezon City before it establishes 12 more satellite stations all over Metro Manila later this year. At present, the MMDA has four major dispatch terminals: South Station in Alabang and Coastal Mall in Parañaque in the south, and Malabon and Robinson's Fairview in the north. Under the BMDS system, PUB drivers are now required to have their fingerprint scanned at the dispatch terminals before being allowed to ply their routes. To make this possible, the agency created a PUB Driver's Databank which contains the personal information of each registered driver, the bus company where he is employed, and even the number of his unsettled traffic violations. A total of 3,471 city buses operated by 105 companies have reportedly registered in the database. At each BMDS terminal, PUBs will be fielded every 10 minutes during peak hours and every 15 minutes during non-peak hours. The system is expected to cut the number of city buses in operation and rid Metro Manila of "colorum" buses. In addition, only drivers with less than three pending traffic violations will be dispatched from the terminal, while those with more than three are advised to settle their traffic-violation tickets first before being allowed to ply their routes. "Our aim is to instill discipline among PUB drivers and make them aware that we at the MMDA, together with other agencies, are capable of monitoring them, especially their driving behavior," said MMDA chairman Francis Tolentino.